Dynamic push-back pallet racking from Link 51 is one of the most efficient warehouse storage systems when it comes to utilising available space. 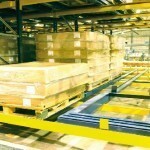 This time-efficient system loads pallets in sequence onto wheeled carts or rollers. 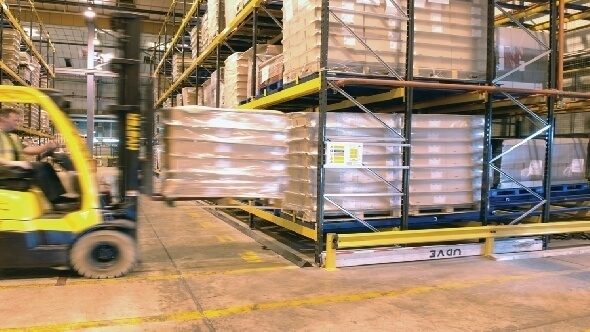 Pallets are pushed back along an inclined bed so that when a pallet is retrieved, the next load rolls forward to replace it at the front of the rack. The wheeled cart solution offer low profile design that provides additional clearance and interlocking carts control pallet descent whilst accommodating up to 6 pallets deep per bay. Alternatively, the full width roller system can handle mixed pallet sizes up to 10 pallets deep per bay. Pallets are selected using the FILO (First In, Last Out) principle. 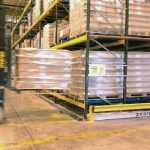 It is common for each product stored to have its own dedicated lane when using the Link 51 dynamic push back system, making this racking system useful in marshalling areas and for bulk storage. Not looking for Link 51? We also provide push back racking from manufacturers including Dexion and Apex. Read more on push back racking systems from BSE UK. Call 0117 955 5211 for more information or enquire at [email protected].